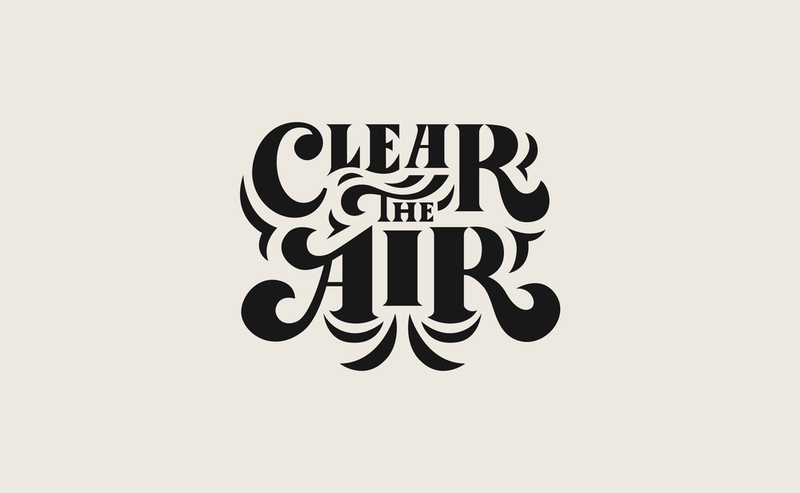 UT has been working on becoming a smoke-free campus for a little while and when we decided to launch, we wanted something to really convey this idea of clearing the air. I wanted to create a type that was flowy and airy and I think we were able to accomplish what we set out. To keep up to date with my year two at the University, click here. We started a conference for our campus communicators here at UT and along with helping create the look and feel of the event, I also got the opportunity to create a shirt that people got when they came to the conference. For more from the CommuniCon conference, click here. 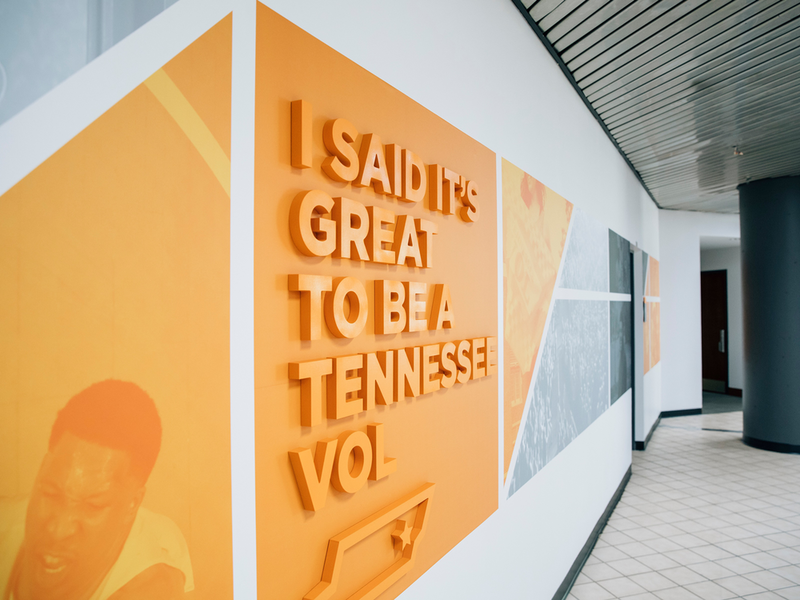 We were asked by Thompson Boiling Arena to help turn a dark and overall blah lobby, near the newly redesigned Arena Dining, into something better. We were bring more of a focus on our students and as always showcase our orange. I had worked with 3D letters before but this time around I wanted to do a tone on tone and I think it came out exceptional. We were asked by Thompson Boiling Arena to help turn a dark and overall blah lobby, near the newly redesigned Arena Dining, into something better. We were bring more of a focus on our students and as always showcase our orange. The elevator was going to stay blah as well, but I suggested us wrapping it with a vinyl and our printers over at UPM gave the green light to try it out. So that’s what we did, and I couldn’t be more proud with how it turned out. This was my first install and luckily I collaborated with the ever talented Susanne Morton on this one. She helped scale the bigness of the project down into manageable bite sizes. I had a lot of fun helping create a warm environment for the students. 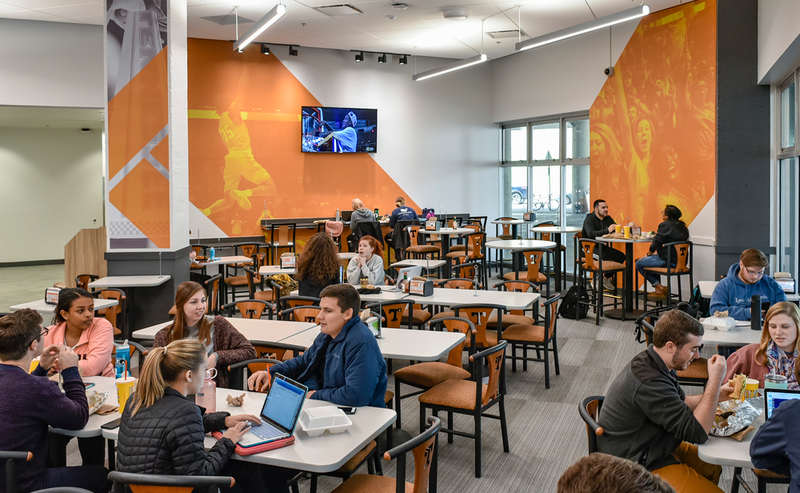 Thompson Boiling Arena was remodeling their dining area and asked us in communications to help create an environment that felt very UT but also didn’t feel too much like athletics. So we borrowed some inspiration from them but was able to infuse a lot of student life in the area as well. 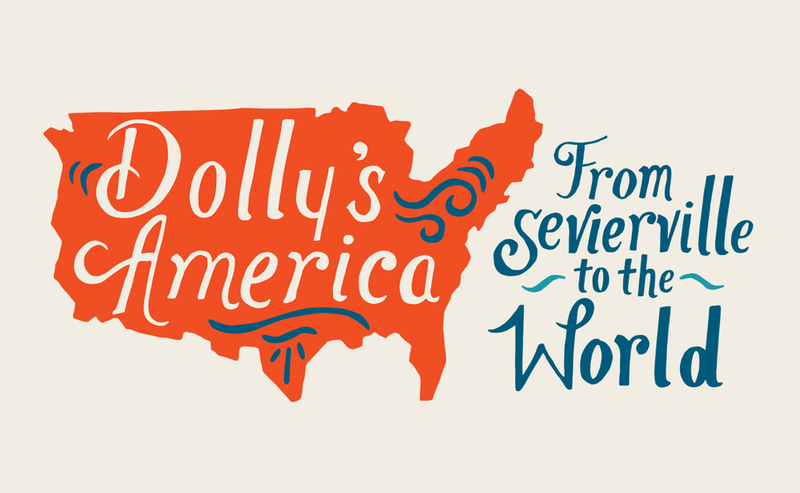 I was asked by one of our art directors to help create a graphic for an article in our Torchbearer magazine that was on Tennessee’s favorite daughter Dolly Parton. In year two of our CommuniCon conference we wanted to create another shirt that people would want to wear on Big Orange Fridays and just overall be able to represent the University from an apparel standpoint. So we did just that in creating one of UT’s sayings, ‘On a hallowed hill in Tennessee…’. BeWell is one of my clients here at UT and they enjoy helping our campus stay healthy in various ways. This summer they wanted to do that by having a field day for employees and their families. I wanted to help create something that felt very summery and conveyed activity. For more icons, click here. I love designing for our church family. This was the first series we did for City Church and it centers around Jesus' teachings beside a really big hill, or I'm sure like most people would call it, the sermon on the mount. We wanted to show a loose depiction of Knoxville, with some notable highlights. With two versions contrasting each other in color we wanted to convey the idea that we are called to be different than culture in various ways, striving to follow Jesus and what he says life should look like. For more City Church illustrations, click here. I created this for our very first Christmas party. I was asked to create a small booklet of Christmas songs for our church fam to be able to sing from. I wanted an old school with the look and feel and I think I accomplished that. This is something that we started back at our sending church in Columbia, SC. 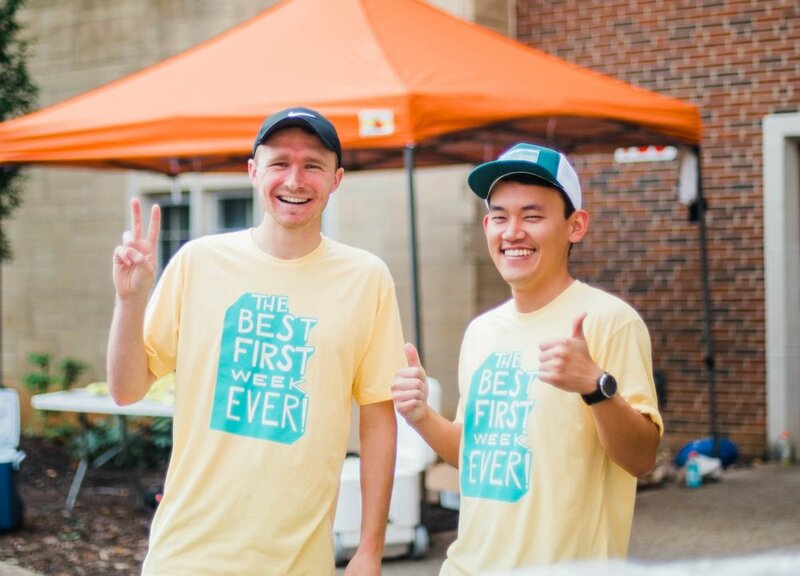 It’s called The Best First Week Ever and it’s our way to love on college students at UT when they come back to school in the fall. We do all sorts of things like helping move students in, giving away loads of Starbucks coffee on the first day of classes, and also do a big lake day. There really was no design process other than making it feel fun and collegy. I was asked by Kent, one of the pastors at City Church, to create this sticker for people to put on their cars, mugs, or notebooks. I enjoy creating for my city and one of the ways it fleshes itself out is in creating cool little graphics that tie to the city. Another project for the city. I even went a step further and created a sticker out of it. This little guy is one of my favorite logos I helped create. When Josh from Bricker and Beam was first starting out he wanted a logo refresh. I told him and if could build me a table that I would do just that. Fast forward to today, this dude has built a very solid custom wood furniture shop that has everyone from Garden and Gun to every business in Columbia, SC wanting his services. This sticker started out as a little tribute to Knoxville and ended up becoming a sticker that I now sell at Rala. It’s been fun to experiment and get my feet wet when it comes to selling products. This is my nod to the agency I worked at in Columbia, SC. I even created a font that never came to fruition, but could potentially one day. Check out Riggs, cause they are talented. I created these icons for a coworker back in Columbia, SC. She wanted something for a party for her and her now husband. It was a lot of fun and one of my better icon works.